But, for now, we are going to focus on eating a little more plant-based at dinner and there is talk of him even bringing his lunch to work… I will believe it when I see it. 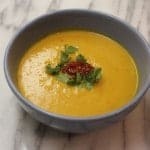 This Thai Butternut Squash Soup recipe could definitely be a WHOLE30 or PALEO recipe written as is. It could also be vegan if you use olive oil instead of ghee and it could be vegetarian if you leave out the fish sauce (totally optional for all of you, by the way, but I LOVE fish sauce – a little goes a long way). 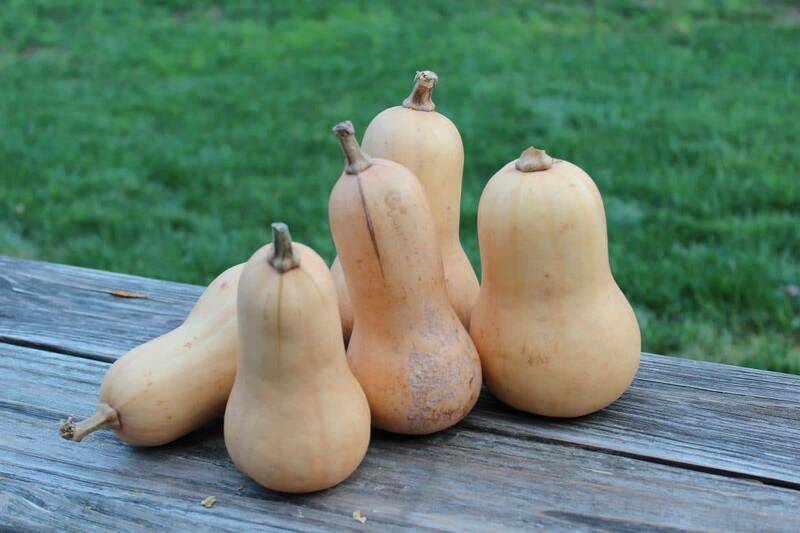 There is pretty much no vegetable I like more than butternut squash. I love it so much plain that it’s hard to save enough to make a soup. For this soup, I had to use five butternut squashes. Five! Think about that for a second … six of us ate this soup so each of us almost consumed an entire butternut squash in one sitting. Can you just see the fiber, potassium and B6 vitamins swimming around our bodies? 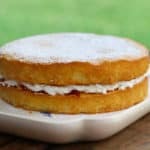 Give this recipe a try … it is easy. I promise. The hardest part is chopping all the butternut squash. If that much manual labor does not appeal to you, check out the produce section of your grocery store. A lot of stores carry pre-chopped butternut squash. Total timesaver! For the coconut milk, look for it in cans in the International Food Aisle at your grocery store. Everywhere carries coconut milk. We have really liked the coconut milk we get from Trader Joe’s. Just shake the can a bit before you open it. 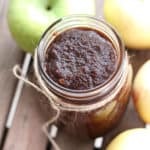 We topped our soup with garlic chili sauce – another optional item but I love having little jars of the stuff on hand to add a kick to any Asian food you make at home. It lasts forever in your fridge and you only need a little bit to add some great flavor. Enjoy! A super easy, good-for-you soup perfect for any night of the week! Saute onion and garlic in the ghee or olive oil. Add the fresh grated ginger. 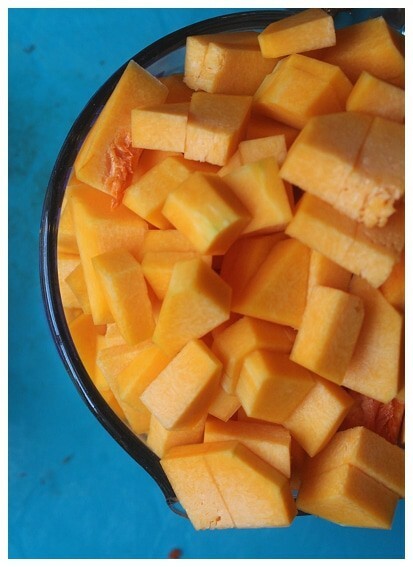 Add butternut squash and stir well. Let the butternut squash soften with the onions for about a minute or two. Add the vegetable broth and cook for about 20 minutes over medium heat. Using an immersion blender, blend the soup until it is smooth. Add fish sauce, chili garlic sauce and coconut milk. Stir well. Remove from heat. Taste the soup. Add more fish sauce or chili garlic sauce if necessary. 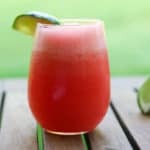 Add the juice from a half of a lime. Stir. Serve the soup topped with additional chili garlic sauce and cilantro leaves. I love the fish sauce and chili sauce you added. 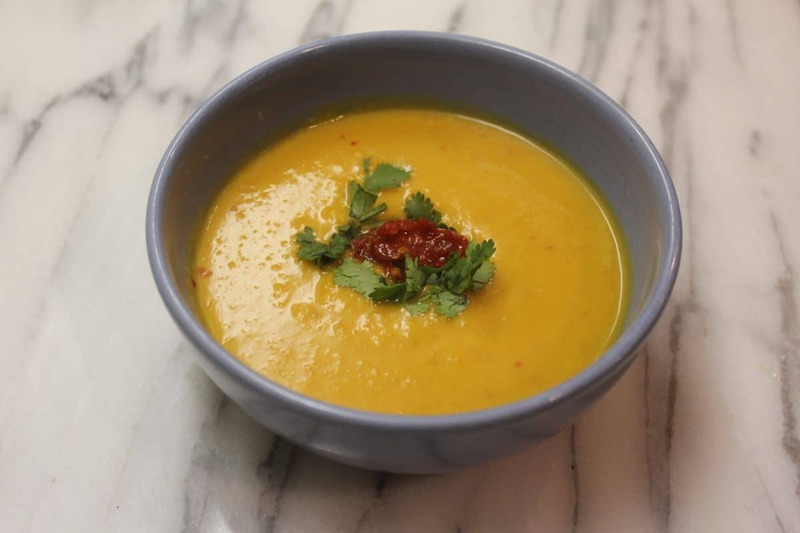 What fabulous flavors to add to butternut squash soup. Thanks, Christie! This soup has been a big hit. Just some small changes made a totally different taste! Haha, you are right, it is just a number, but it is never too late to eat right. 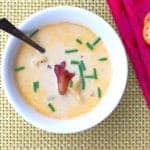 This soup is perfect and much needed with the cold temperatures here! 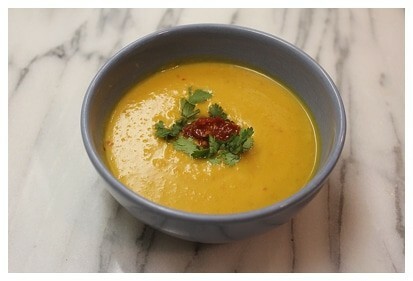 I love butternut squash too, and the thai spin on the soup makes such a delicious difference! It really was a happy accident! I love it when we find a new twist on an old favorite. Butternut squash soup is one of my favorites in the fall. I love the Thai twist you put on a classic! I’ve had butternut squash soup many times but now I need to know how it tastes with Thai flavors thrown in! Such an interesting variation! Same here, it was nice to switch it up a bit!